These sales were verified by the Metropolitan Regional Information Systems, Inc. (MRIS) and according to the statistics, Dwell Residential sold 100 homes in 2014, more than any other small brokerage in the DC area. 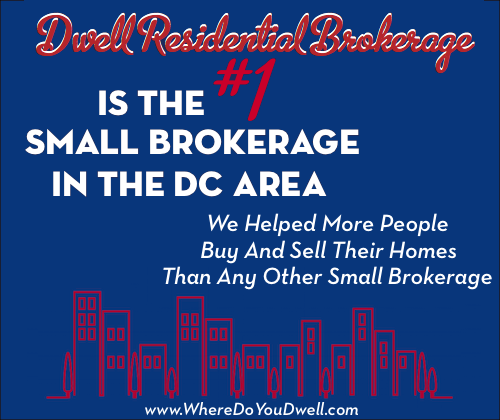 Small brokerages are defined by having at most 10 real estate agents selling homes for the company. For being such a young company, we are so honored to be the best in the business so quickly! Thank you to all our clients who trusted us with their biggest investment—their homes! We could not have done it without you!